When it comes to iOS weather apps, The Weather Channel app is certainly one of the most popular. 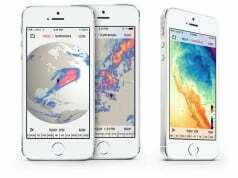 What is interesting to note is that iOS weather apps are kind of a battleground for graphic designers and coders, who are giving their best to create the next great app that will capture everyone’s attention. In addition, in the past we have seen numerous examples of innovative approach in terms of UI design or gesture control that was first implemented in a weather app, but then became mainstream. However, The Weather Channel app is not one of those apps, but still stands the test of time because of its accuracy, usability, as well as interesting and useful data. 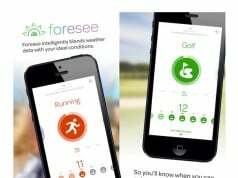 In somewhat surprising move, The Weather Channel published another iOS app, designed for anyone who likes to jog or run on a daily basis. This app is called OutSider, and it can be downloaded free of charge. As its iTunes Store description says, using this app you will be able to “track your runs and see weather’s impact on your time”. If this sounds interesting enough, continue reading this article since we took this app for a couple of runs and tested its abilities. Once I took a first look at OutSider it was clear that this app shares the same designed principles as The Weather Channel app. There are many similar UI elements, which are not sharing iOS’ flat design principles, but instead the app uses full-screen photos and different kinds of gradients. I did not particularly enjoy in this interface, but it cannot be said that it is badly designed since it successfully fulfills its main role. 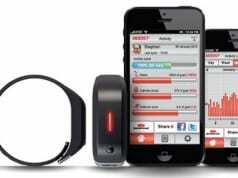 This means that the app is very user friendly and intuitive, and presents information in a very readable manner. The main screen will show you a “Run Weather Index” which uses a number from one to ten. The lowest number presents the worst possible weather condition. This number is a reflection of several weather elements like humidity, wind, temperature, and similar. You can adjust how these elements affect your desire to run, so OutSider can adapt to your habits. While the main screen shows the current data, you can also find a menu that provides extended forecasts, so you can plan your runs accordingly. 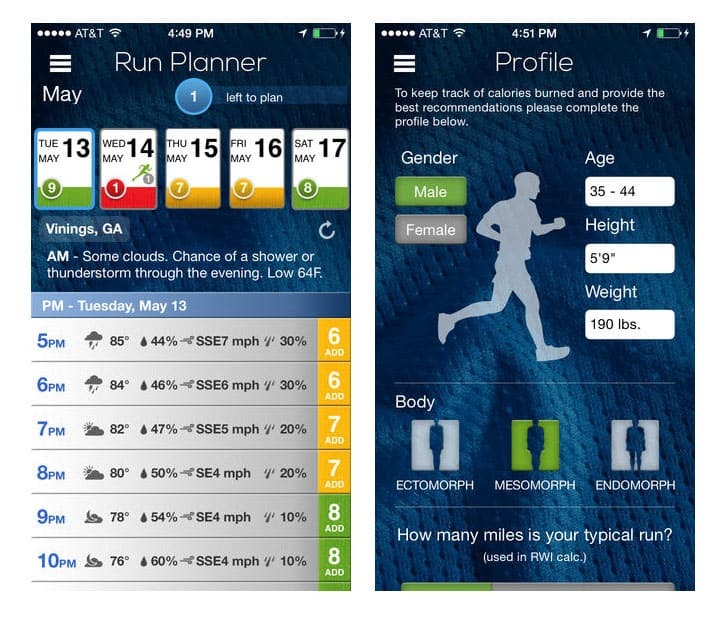 The app allows scheduling and adding runs to the calendar. This is a great way to plan your runs, since we all know how annoying it can be to skip a great workout because of rain and bad weather. 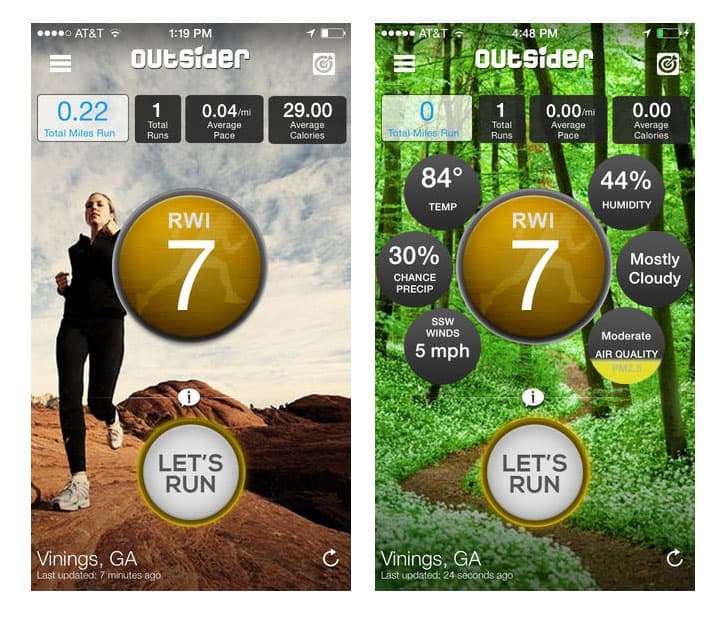 OutSider also tries to compete with other running apps, since you can route your runs, analyze them (view a chart of historical data), and create playlists. However, this side of the app performs very poorly. 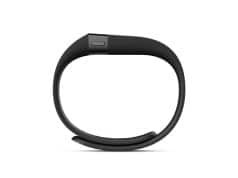 As many other reviewers and users already noticed, the app struggles to capture distances and times, which are the main features that every runner wants. The newest effort by The Weather Channel is great for scheduling your runs since it provides reliable forecasts, but fails where every other running tracker succeeds. 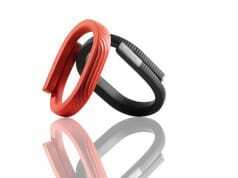 It certainly cannot be used as a reliable fitness tracker, and needs further development. PROS: Reliable forecasts. Great concept. CONS: Cluttered interface. Issues with capturing distances and times.